Bangkok (Thailand) – November 22, 2016 (travelindex) – TSU Japanese Restaurant has been ranked #2 on Trip Advisor for outstanding effort to provide quality food, great service and proud to be serving customers with one of the best Japanese culinary experience. During the months of November and December, the restaurant is excited to bring the Olive season to Japanese cuisine enthusiasts with two specialties; Olive Hamachi and Olive Beef. For a tantalizingly limited time, Japan’s beloved olive-fed delicacies will be available in the heart of Bangkok. 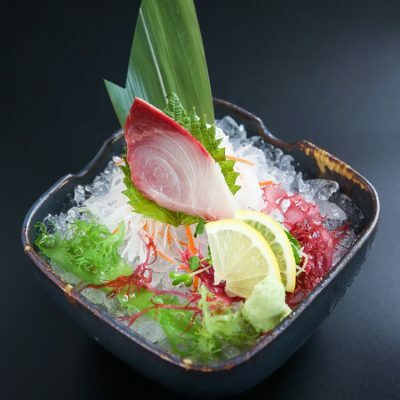 In processes that exist only in the Kagawa prefecture, Hamachi fish are fed olive leaves which give them antioxidant health benefits and a uniquely rich and sumptuous flavor while purebred cattle are fed pressed local olives to create one of the healthiest, most tender and least oily wagyu beefs ever savored. Together, they are the mouthwatering inspiration for our new a la carte creations. For more information and bookings please contact Tel: 02-656-7700. Visit the hotel website at www.jwmarriottbangkokhotel.com. JW Marriott Hotel Bangkok is located in the heart of the city with convenient access to the airport, expressway and public transport. The hotel boasts 441 superior accommodations, world-class Executive Lounge, fully equipped JW’S Health Club and Spa, 11 state-of-the-art meeting facilities with over 1,521 square meters of meeting and banquet space, and 9 well-known F&B dining outlets inclusive of the reputable New York Steakhouse, Tsu Contemporary Japanese Kitchen and Nami Teppanyaki Steakhouse.